Set beside its own private beach, Madinat Jumeirah, meaning 'City of Jumeirah', is an authentic recreation of ancient Arabia, capturing the natural beauty of the region. Madinat Jumeirah is really 3 hotels in one and features two grand boutique hotels, Mina A’ Salam and Al Qasr, as well as 29 lavish yet traditional summer houses in Dar Al Masyaf. 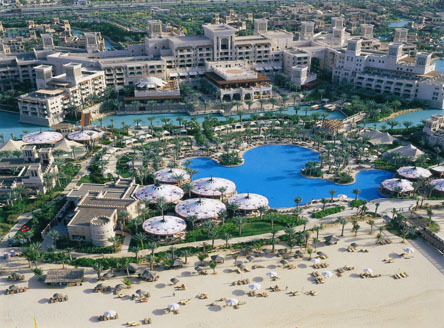 All three hotels and associated facilities are connected by a lagoon featuring 3kms of waterways and landscaped gardens, all beside the warm waters of the Arabian Gulf. It is the perfect choice as a Dubai stopover with a luxury Seychelles holiday. The whole Madinat Jumeirah resort provides extensive leisure and recreation facilities, including: access to over 40 restaurants and bars - many overlooking the waterways or the sea, children's club, floodlit tennis courts, a Talise Spa with 26 private treatment rooms, fitness centre including a 25m indoor lap pool, as well as Souk Madinat Jumeirah, a large traditional retail and dining experience showcasing the best of Arabia with some 80 boutiques, shops and galleries. Madinat Jumeirah is situated beside Jumeirah Beach and next to the Burj Al Arab, Wild Wadi Waterpark and Jumeirah Beach Hotel. It offers convenient access to Dubai Media City, the Palm Jumeirah and Dubai Marina. 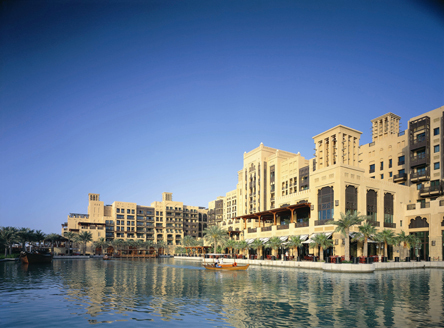 Mina A’Salam, meaning 'Harbour of Peace', is the grand boutique hotel that forms the gateway to Madinat Jumeirah. This is the 'entry level' hotel and it is from here that many waterways and walkways thread their way to all corners of the Madinat Jumeirah complex. By using these, you'll discover an array of world-class restaurants, bars and cafes, the Talise Spa, as well as the resort's traditional souk with it's many boutiques. A sanctuary of Arabian warmth, Mina A’Salam is a grand boutique hotel built in exquisite style and makes a luxurious base for families or couples. 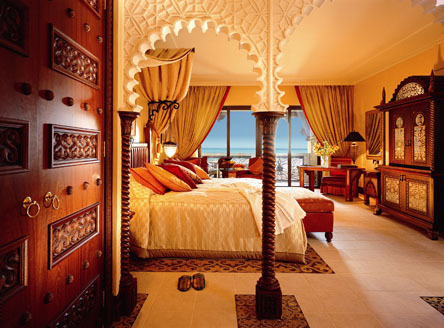 292 spacious guest rooms are beautifully furnished, with private balconies overlooking the resort or the Arabian Gulf. All feature separate walk-in rain showers, dressing areas, a generous lounge area, floor to ceiling windows, as well as complimentary wifi access. 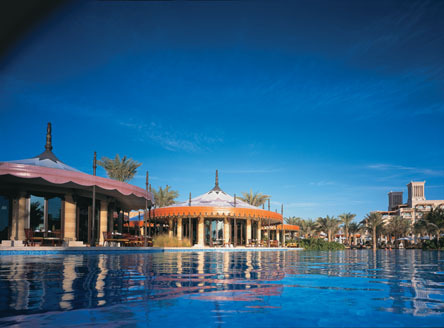 Al Qasr means 'The Palace' and is designed in the style of an exquisite summer residence. The hotel is the focal point of Madinat Jumeirah and replicates traditional royal architecture, coupled with luxurious living. It is an oasis of luxury. 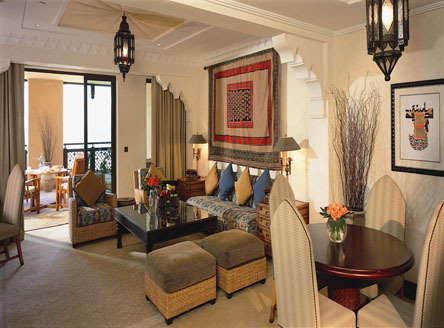 Al Qasr offers a huge choice of spacious deluxe rooms and suites, all with luxurious bathrooms nd private balconies. As part of the Madinat Jumeirah resort, the hotel offers all the facilities and activities of the wider resort as described above. 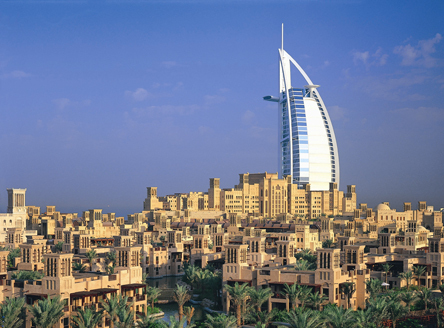 Alternatively, see some of our many other Dubai stopover hotels. Approx. 25 mins. from Dubai International Airport. Mina A'Salam: 292 air-conditioned rooms & suites including Arabian Deluxe & Ocean Deluxe (both 50m²) and Ocean Suites (115m²). All feature ensuite bathrooms with separate bath and walk-in rain shower, dressing areas, generous lounge area, complimentary internet access, floor to ceiling windows and private balconies. Inter-connecting rooms. 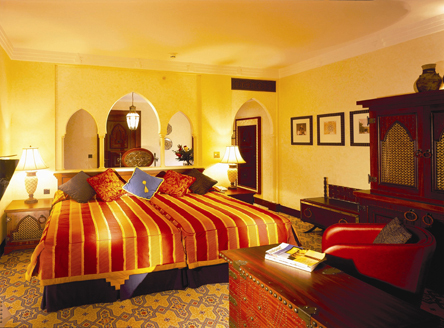 Al Qasr: 290 air-conditioned rooms & suites ranging from 55m² to 180m². All have luxurious ensuite bathrooms with separate bath and walk-in rain shower, dressing areas, large lounge area, complimentary internet access and private balconies. Inter-connecting rooms. Madinat Jumeirah is a fabulous tribute to Dubai's heritage with its lovely design styled to resemble an ancient Arabian city. It's a whole mix of contrasting themes, contrasts and experiences, not least highlighted by the no less than 40 restaurants and bars to choose from. Plus, there's also unlimited access to Wild Wadi Waterpark! “A truly unique resort within Dubai. This is a destination in itself and offers so many contrasts - from the relaxing to the vibrant and exotic and where history meets new luxury. Being right beside the Gulf and the 2km stretch of private sandy beach is a real bonus, as is the huge choice of leisure activities on offer. What's really lovely is to take the complimentary boat shuttle along the winding lagoon to your chosen restaurant for the evening."